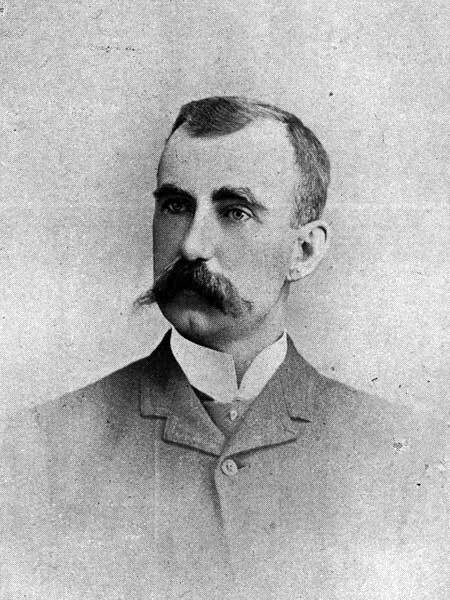 Born at New Glasgow, Nova Scotia on 18 September 1855, son of Scottish immigrants James H. Fraser and Ann Turnbull, after attending the public and grammar school at New Glasgow, he attended the Wesleyan Academy at Sackville, New Brunswick, then took a commercial course at Halifax. He worked in a furniture business at New Glasgow for two years and, in 1878, visited Manitoba, returning in the Fall of the same year. He returned to Manitoba the following spring and, for some time, he worked in the offices of the CPR and conducted a supply store at Rat Portage [now Kenora], Ontario. His father built and operated a roller mill at Nelson, then built a roller mill at Morden in 1885. In 1891, he rented the Morden Mill from his father and subsequently rented a roller mill at Trehorne, giving a total capacity in the two mills of 200 barrels daily. He supplied the local demand for flour and also shipped to Eastern Canada. On 13 July 1887, he married Florence McConnell (c1860-1897) of Pembroke, Ontario. They had four children: Doris Fraser (b 1888, wife of Dr. Grimshaw), James McConnell Fraser (b 1891), Drummond Fraser (b 1893), and Cora Fraser (b 1896). After his wife’s death, he married Mabel Mary Musgrove Dansford on 26 October 1901. He was an active Mason, being a Past Master of the Morden Lodge. He was one of the founders of the Morden Masonic Hospital and was a prominent worker in the YMCA. In religion, he was a Presbyterian, and in politics, a Conservative. Around 1899, he became employed at the Morden Land Titles Office, remaining there for 22 years until retirement in mid-1920 when he moved his family to Winnipeg. He died at Winnipeg on 15 December 1922 and was buried at Morden. “Deaths and funerals”, Manitoba Free Press, 16 December 1922, page 7.